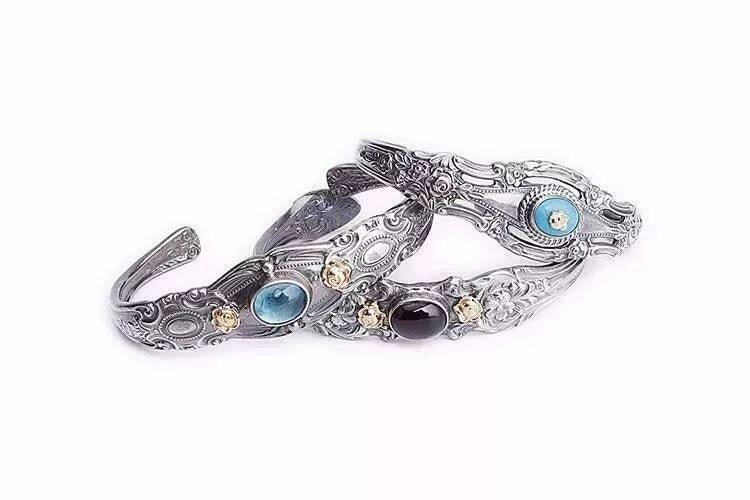 The silver spoon bracelet is a fine example of silverware jewelry that is so all the rage right now! 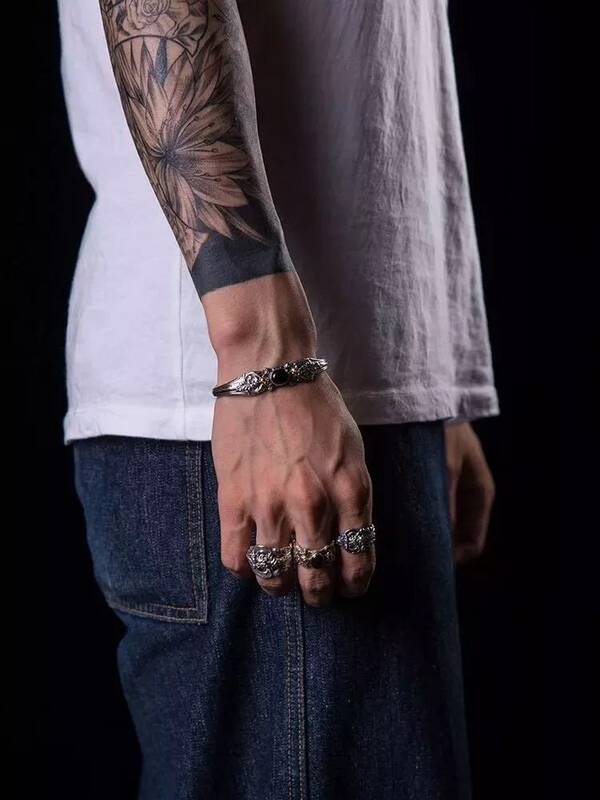 Now who would have thought that silvery cutlery could inspire a whole new style of jewelry? 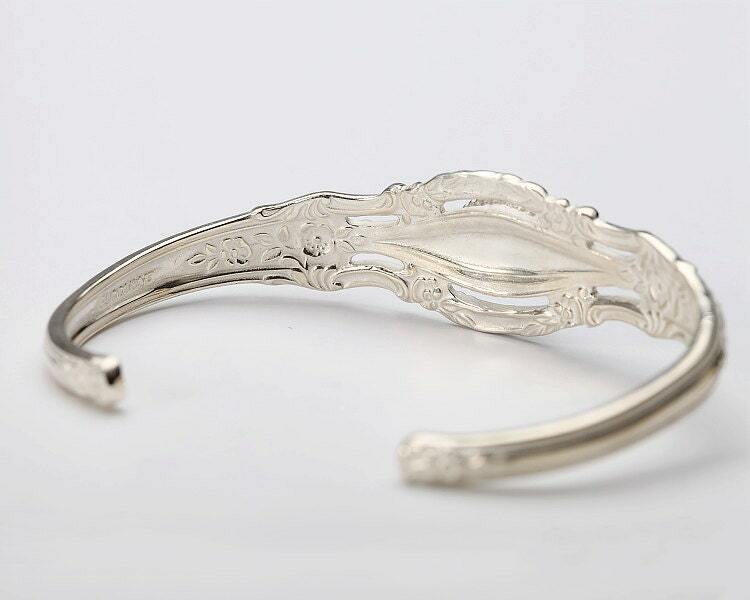 This silver spoon bangle is inspired by the intricate and rich designs that you find in the old European silverware. The vibe of this cutlery is distinctly Victorian - with its highly detailed and over the top intricate patterns and design. 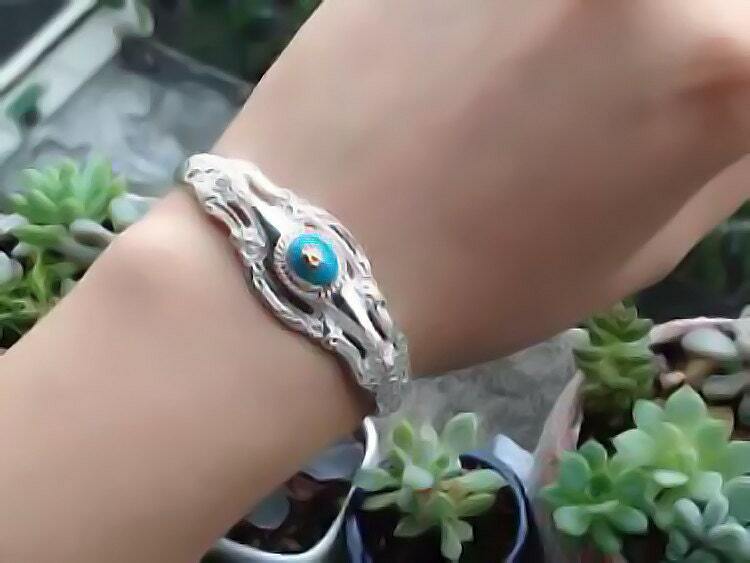 Old world charm in a stylish and opulent silver bracelet - a nice gift for her! 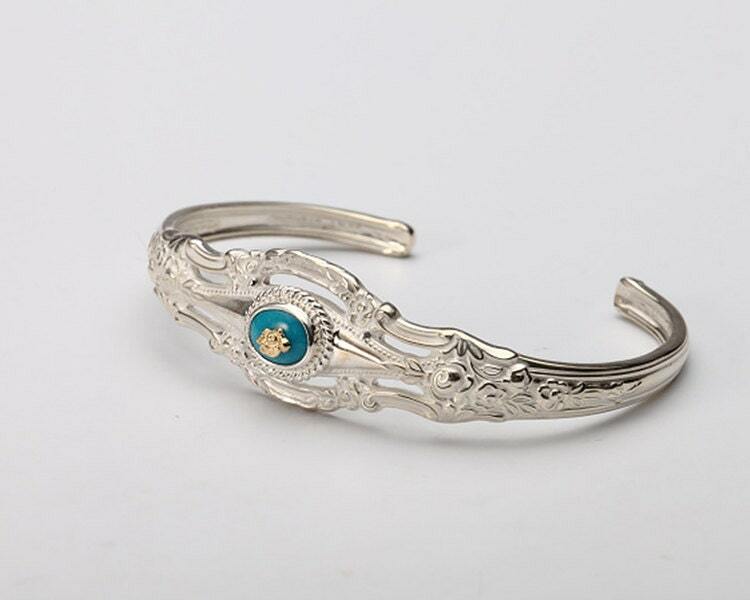 The Victorian style bracelet is handcrafted in 925 sterling silver. 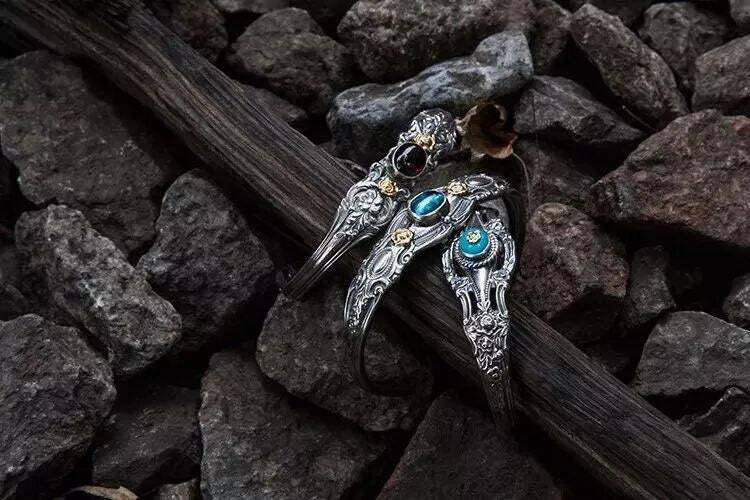 The spoon bracelet is decorated with finely carved floral patterns, and topped off with a blue turquoise gemstone on a scalloped wire base. 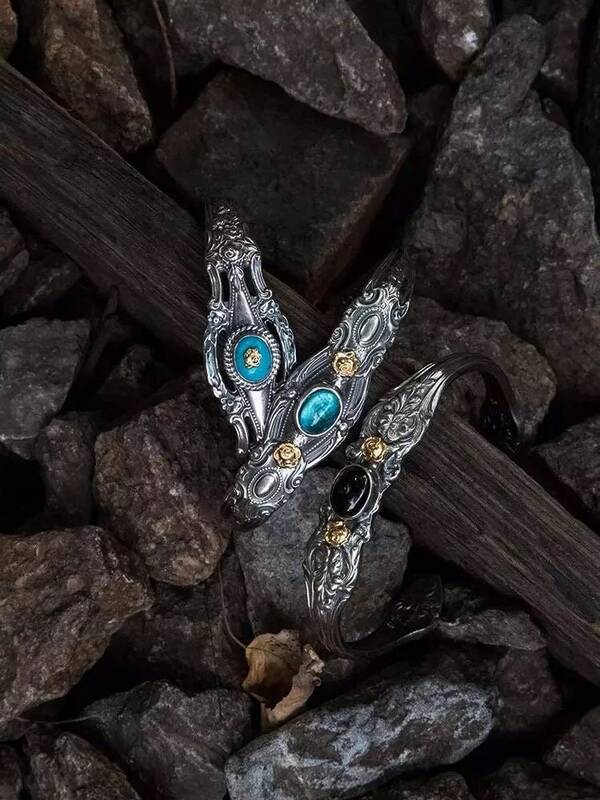 A tiny rose in 18K gold inlays on the top of the gemstone, making for an interesting combination of silver, gold and blue. 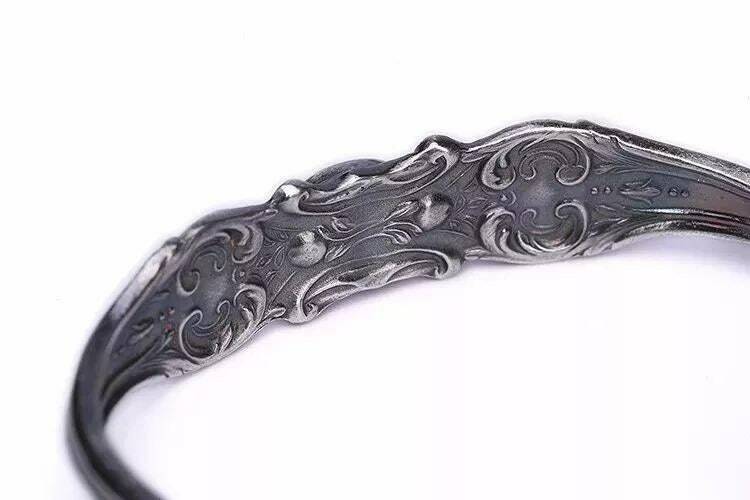 It also enhances the opulence factor of the stylish silver spoon bangle. Love the aristocratic and luxurious style of old Europe? 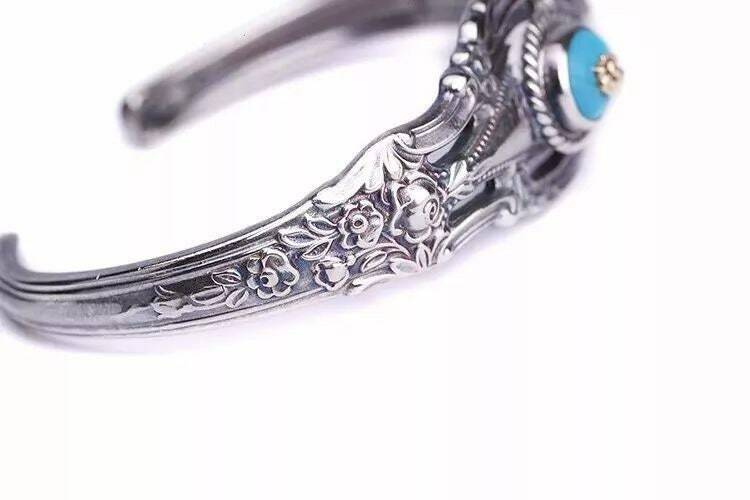 Then this charming silver spoon bracelet may be the best gift this year! 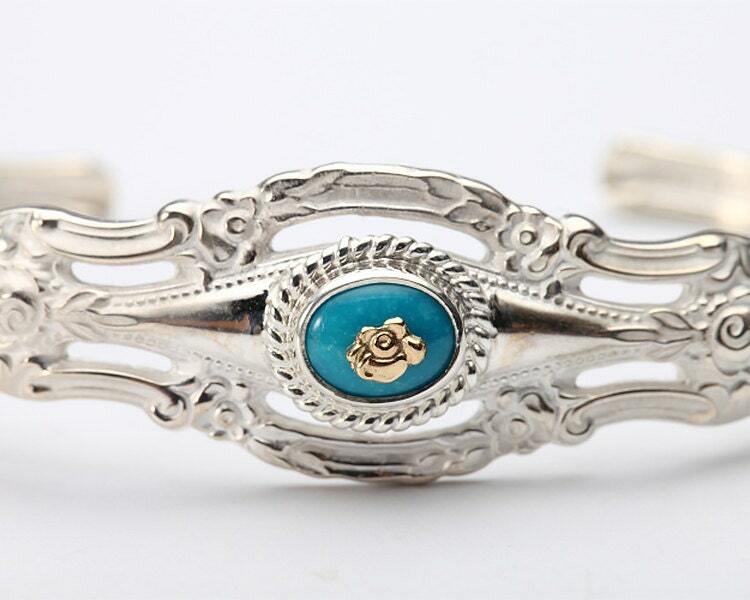 Material: 925 sterling silver, 18K solid gold, Turquoise gemstone (6*8 mm). S: 16cm/6.3inch, M: 17cm/6.7inch, L: 18cm/7.1inch. Max Width (In the middle): 18mm/0.7inch. Min Width (at the ends): 5mm/0.2inch.